Stop Hammering With Social Media | Own Life. Social media are tools. Tools help us get a job done. It’s Father’s Day so I’m going to walk you through one of the most important lessons my Dad ever taught me. Dave Squire can fix anything. To be honest, I think he still breaks stuff just so he can try to fix it. Call me a pessimist. Bottom line is he can fix anything. So as a kid, I naturally developed a desire to fix stuff, too. I wanted to be like Daddy. But kids are always a little to anxious to help, right? 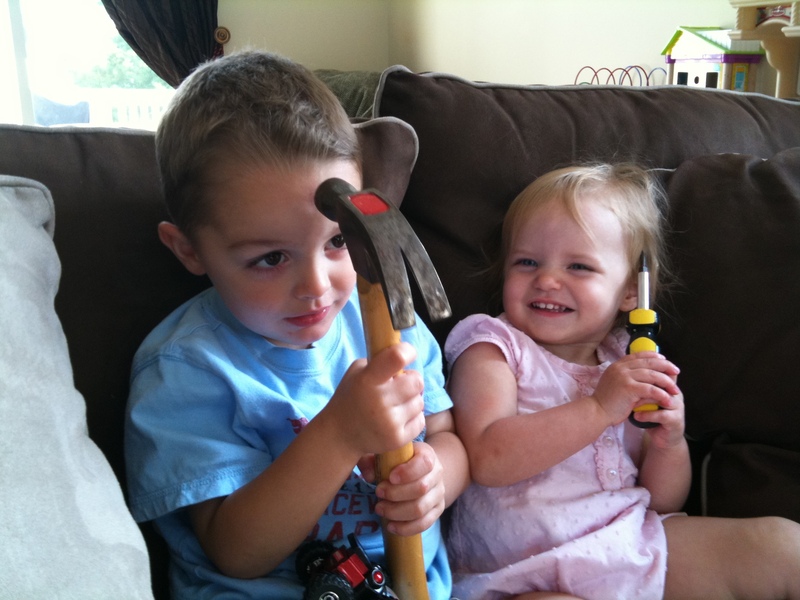 I remember picking up a hammer and trying to “help” Dad screw in a screw. Similarly, I would use the wrong side of the screwdriver to pound in a nail. There were two issues. I didn’t always know which tool would work best and I was usually just so happy to have a tool in my hand, I didn’t stop to think if it was the best tool for the job. After dad “reminded” me enough times, I learned that I could get a lot more done using the right tools and cause a lot less damage at the same time. Have to give these people credit, at least they ask. But some don’t. Some pick up that shiny new hammer that many of us know as Twitter, and go pounding away with wild abandonment. If we’re lucky we screw up a bit until we realize how to use the tool, if we aren’t lucky, we can cause a pretty big mess. So how on earth should we move forward? Please don’t wait for an “expert” to come along. You wouldn’t hire an expert to teach you to use a hammer, you just need a “dad”. You need a patient teacher who wants to see you succeed. Then you need to stop and ask yourself what job you are tring to get done. What is your goal? From there, do a bit of research, read what people like Mack, Chris, Scott, Shannon, Brian, and Angela, just to name some of my favorites. These people are thought-leaders. They will all tell you they are not experts, then turn around and offer a viewpoint you hadn’t thought of; one that is absolutely brilliant. They will teach you how to use social media tools, they will teach you which tools to use at the right time. They do it because they love sharing knowledge, because they love growing conversation. They are kind of like Dad. In the spirit of Father’s Day, let’s stop hammering our way through social media. Let’s stop and think, and then make our Father’s proud by using the right tool at the right time for the right reason. You make me so proud……………I am glad I know you!! I’m glad you know me too, Mom, or, I, wouldn’t be here? What the heck? My mom is commenting on my blog? Seriously, thanks Mom, I’ve said this before, but most of what I know about being an adult I learned from you and Dad. yikes! totally missed that and didn’t mean to snake your verbiage!